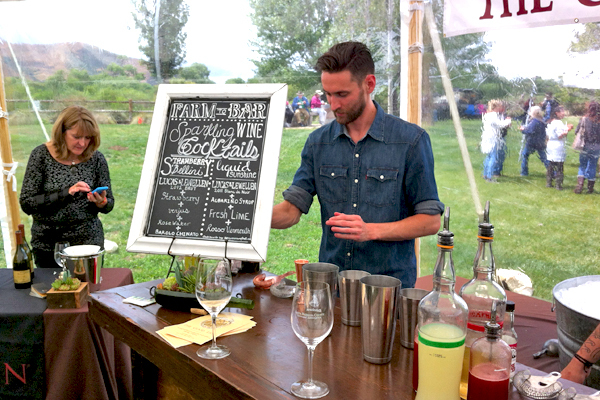 Of course wine festivals are mostly about marketing, but that doesn't mean attendees can't learn a bunch amidst the revelry. That was clear at the recent Santa Barbara Vintners Food Festival and Grand Tasting held in Buellton on April 25. First, labeling it partially as a food festival wasn't merely a way to get the emphasis off alcohol consumption, in a hope to make a less mad MADD. It was also deliciously surprising to have good eats on hand. To offset the over 110 wineries pouring, there were 38 food purveyors of all sorts, including tasty start-up Cultured and Saucy sharing its probiotic dips and sauces, alongside Santa Ynez Valley stalwarts like the Red Barn, Hitching Post II, and the Ballard Inn & Restaurant.